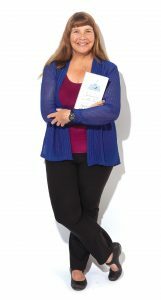 Champion Open-Water Swimmer Lynne Cox's Pens New Book "Swimming in The Sink"
Champion open-water swimmer Lynne Cox has broken one record after another, including the fastest swim across the English Channel at 15. In “Swimming in the Sink” (Knopf), she chronicles how her endurance was tested closer to home in Los Alamitos, with the death of her parents and then her diagnosis of heart disease. For a year after college, I was working four jobs and trying to write “Swimming to Antarctica” (2004, Knopf). My folks said “Why don’t you just come home and write the book?” And that’s how that started. They helped me out, and then when my dad got ill—he had cancer—I helped him and my mom. Then my mom got sick, and I was helping her and my dad. I wrote about caring for my parents because I think there are so many people who are experiencing that. To swim in Antarctica in 32-degree water and then off Greenland in 26.6-degree water in a swimsuit, cap, and goggles, I really had to be aware of how I trained and aware of what was going on during the swims. So I developed a very strong mind-body connection. It was (a friend) who explained that by putting all my focus on caring for my folks, I lost the focus on myself. On her recovery from stress-induced cardiomyopathy. I just had a physical and the doctor said, “Your heart is back to normal, and your EKG looks great, and we can cut back on some of your meds.” So that was great. But the other part of it is, I’ve been back in the water again, and it has made life whole again. I think everyone needs to do the things they love, and (swimming) makes me a whole lot happier. With this book I wrote more about my heart, and there is nothing more challenging than being that open and vulnerable. Some people think, “This isn’t what you wrote before.” Yes, that’s right. … My life is always about exploring something new.